Before we get started, this bourbon review is for the 90 proof Old Bardstown expression coming out of Willett Distillery (aka Kentucky Bourbon Distillers). This is not to be confused with the Old Bardstown Bottled-In-Bond 100 proof 4 year old expression! That review is coming soon. So here is the thing about the Willett Distillery – the operation started back in 1935 (two years after the end of the Dark Ages) and ran pretty smoothly until the energy crisis of the 1970s here in the United States. After that, the distillery tried making ethanol fuel, but when prices came back down the distillery came down with ’em. That’s when the Norwegian Even Kulsveen came to the rescue. He had married one of the Willett daughters earlier and rescued the distillery in 1984. He changed the name to Kentucky Bourbon Distillers while continuing to produce the Willett labels. People who know Willett, love Willett. I, for one, had avoided the brand for years because I am old and I am stodgy and I stick with what I like. I did not enjoy Old Pogue and I could not stomach Johnny Drum – two KBD labels. So naturally I associated Willett with pot swill that was unfit for human consumption. I can hear your thoughts, you Willett lovers. Bear with me. I was not looking forward to this. And as is always the case, I got a healthy pour. Why dont they ever tip a little extra of the good stuff? They measure out the Booker’s with a medicine dropper but dump a two liters worth of the crap in a punch bowl in front of you. Same thing with life – you gotta play the damned bones to get your deposit back from a landlord but let that rent payment be 13 seconds late and Bam! $80 Late fee. Thats life, huh. Too little of the good stuff. Too much of the bad. 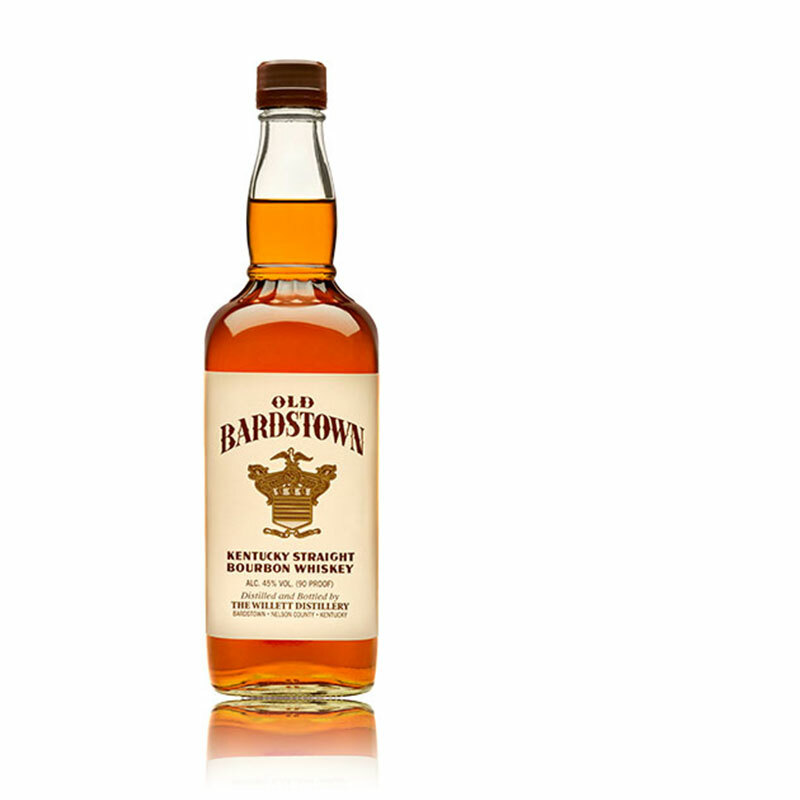 Old Bardstown has the look of a bourbon that didnt spend a second longer in the barrel than it had to. Light bronze made me skeptical about what I was about to endure. The nose wasn’t toxic and – much to my surprise – possessed no notes of fermented cabbage or sulfuric egg yolk. Instead, I got maraschino cherries and dandelions. The nose was actually pretty…nice. I couldn’t believe my nose, so other bar guests threw strange glances my way as I repeatedly sniff – sniff – sniffed. Will this contender de-throne Old Crow? Even with my defenses up, I wasn’t ready for the first sip.I didn’t expect a burn from a 90 proof bourbon – and there isn’t one. Nothing but flavor and a velvety texture that sticks to your palate. The fruit flavor is spectacular. Old Bardstown bourbon tastes like what a Red Delicious apple should taste like. There is the crisp flavor of brand new wood, and the finish is butterscotch. From the nose to the first sip, I could find very little to complain about. There wasn’t too much complexity – even adding water didn’t change the character much – but sometimes you wanna keep it simple anyway. I dont know what kind of sorcery that Willett is trying to pull off, but damn its working! I give Old Bardstown bourbon a solid B. Old Bardstown is a dangerous whiskey. At under $20 a fifth and under $4 a pour, you will drink yourself to sleep with a smile on your face. The only thing bottom of the barrel about this whiskey is its price. Dont waste your time trying this at a bar if you are on the fence. Trust me and buy a fifth. Now go ahead, all you Willett lovers. Tell me “I told you so” in the comments section below. Agree with your review. Just toured the Willett Distillery and was introduced to Johnny Drum. Loved it. Great with a cigar. Might néed to try it again.